If you are as big a Beastie Boys fan as I am you are probably imagining the bass rift of their song Gratitude right now. "When you've got so much to say, it's called gratitude, and that's right!" I am a week away from attending the Dad 2.0 Summit in New Orleans and I am pretty excited. After all, this will be my first blogging related conference and my third conference ever in my life. I am a big thank you note guy, thanks to the training of my wife and in laws in the practice of writing letters but this post is going to be about all the people I need to thank for getting me where I am today. First of course, is my wife. Without you Susie, I wouldn't even be here staying at home with the kids. I wouldn't have sought out other dads like myself to connect with. Without you pimping me out to other guys we saw at the playground or wherever you saw a dad alone with his kid, I wouldn't know many guys. I would have isolated myself and constantly wondered what it would be like to have other at home dad friends. You helped me become more outgoing and you believed in me. You bought me the DADNCHRG vanity plate and you helped me own that by suggesting that I blog. For that and so many other reasons, you have helped me be a better man and father. Next, I have to thank the National At Home Dad Network, whose members have instilled faith in me enough for me to become the blog editor and be a voice for stay at home dads. I am attending thanks to them as a representative of this organization, with six other guys some of whom will be presenting at the conference, that I consider my friends and brothers. The convention in Denver this year was only my second but I already feel like a part of a family. Also, to the Dad Bloggers group on Facebook which was created by Oren Miller of A Blogger and a Father. Being part of a community that helps and supports each other is an amazing feeling. The opportunities that many of you have extended to me and other bloggers is amazing. I feel that sense of community with you online and I can only imagine what that translates to when I meet you all in person. Finally, I can refer to you with my wife something other than "one of those dad bloggers" when I come back and tell her all about it. Through that group I found Jeff Bogle of Out With the Kids, who has helped me co-found Philly Dads Group with the help and support of Matt Schneider and Lance Somerfeld of NYC Dads Group. I have also made friends like bloggers Don of Daddy Newbie and Eric of Dad On The Run whom I have already had the pleasure of hanging with at the AHD convention. Eric and I co-admin a Stay At Home Dad Group on Facebook just for dads! Bloggers like Whit Honea and Tom Burns have helped me get my thoughts and feelings, triumphs and failures out to an audience that I may never had reached otherwise via The Good Men Project. People like Tommy Riles of Life of Dad who has asked me to be a contributor to the site and to be a part of a group that gets dads involved with brands in the best ways possible, to help dads get more recognition for the good work they already do around the world. If I were to name you all, this post would be endless and the minute that people spend on my blog would probably decrease. But, from the bottom of my heart, thank you all. Thank you for the support, the faith, the encouragement and suggestions. Thank you for believing in me as much as I believe in all of you. You have all helped shape me in some way whether it was through laughter, your own writing, or a comment you left for me. I am full of gratitude because of your words, thoughts, or actions. I am looking forward to making connections and lasting relationships with you in person at Dad 2.0. Look for me, I'll be the tall guy trying to talk to everyone. Losing your hair can be demoralizing. There is something about having a full head of hair that seems to boost the confidence in some men. Bill Rancic has personally gone through it and I was surprised that a guy that seems to have so much confidence, like many other men, was going through the same problems. In fact, hereditary hair loss affects up to 40% of men and more that 15 million men admit to being concerned about the condition. Bill decided to do something about it and started using ROGAINE Unscented Foam twice a day. Sounds foolproof right? In as soon as 16 weeks, you too could start to see results like Bill did. Men's ROGAINE Foam is the first easy-to-use foam that is FDA-approved to help regrow hair. Just applying it to dry hair or towel dried hair would be so easy to do followed by any styling products that you regularly use and you are on your way. 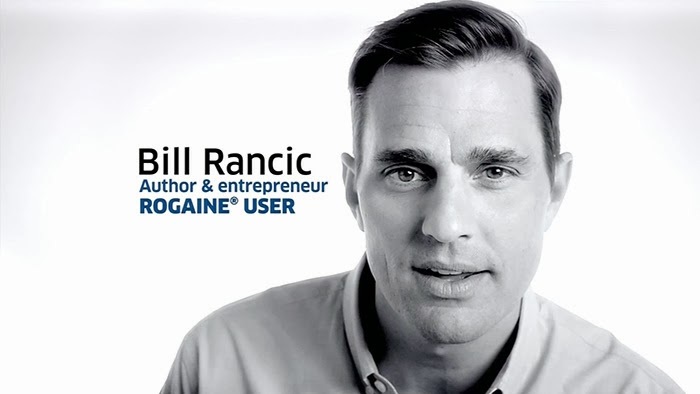 If you missed my last post where I got to interview Bill Rancic, you know that he is a successful entrepreneur who has had success with ROGAINE. He teamed up with ROGAINE in May of 2012 to serve as the brand's first-ever "Growth Coach". In the "Grow Your Game" campaign, a "Growth Coach" like Bill shares his personal experiences and advice on how to conquer real world situations in work, life and love, while never letting his hair loss hold them back. Not only is Bill a big success in business but also as a family man. In fact, in my interview he said that he would give up everything to be a stay at home dad if that was what was best for his family citing how society has changed since the former roles of the 1950s. This sense of selfless giving is further reflected in his charitable activities. He often travels to Haiti with the mission to build homes for victims of the earthquake. He is also an active board member for Mercy Home for Boys and Girls and participates in many public and private events for charity. It is this kind of work that brings the wealthiest riches. For Bill and dads all around the world, we want to prove that we can be the best dads possible in 2014. So, that means "Growing Our Game" by dedicating our precious time to our families. Let's try like I am, to get off the phone more and talk with our kids. Make your kids laugh even if it means you make yourself look foolish. There is no better sound than your own child's laughter. And finally, worry less about capturing the moments and live them instead. DISCLOSURE: I participated in an Influencer Program on behalf of Dad Central for ROGAINE. I received a product sample and promotional item to thank me for participating. We all remember those iconic words from The Apprentice, those two words you don't want to hear coming from HR. The dreaded "You're fired" coming from Donald Trump and the reverberating echo that followed as the air left the room. Bill Rancic turned that phrase into "You're hired!" when he won The Apprentice in 2004. He is a motivational speaker, real estate developer, restaurant owner and author of a New York Times best-­‐selling book on business. Rancic’s life is documented on the hit reality show Giuliana & Bill, in which he stars with his wife, E! News Anchor, Giuliana Rancic. 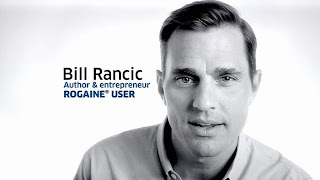 Bill has begun to work with ROGAINE and Men's Health in their "Grow Your Game" campaign and has become a Growth Coach to help guide five men in love, life, and work. It's a no-brainer that this guy is a good fit for helping guys who are losing their hair. He personally is going through the hair thinning battle and decided that he needed to become the project manager of his follicles before it was too late. I had a great opportunity, thanks to ROGAINE and Dad Central to interview Bill and ask him about his experiences as a successful businessman and dad and how "Growing Your Game" can make a difference in your life. The facts on how ROGAINE can help are overwhelmingly positive and with 40% of men affected by hereditary hair loss, there is a good chance that you know someone that can benefit as well. When I asked Bill about why he decided to take action about his thinning hair he said "I was looking at a picture of myself and I almost fell out of my chair. It was kind of a wake up call. Holy smokes, my hair is thinning! So I decided to do something about it instead of surrendering" The fact that he did is in line with the way he approaches life. On The Apprentice and in his own life he really goes after something when he believes in it. Bill is a family man and a Chicago guy, two things we have in common. He fortunately, was able to salvage his hair thanks to ROGAINE. When I announced that I was bald Bill said "Sounds like we should have talked about two years ago" Fortunately, I come from a long line of balding men and know lots of others who can be helped before it is too late. After we talked about ROGAINE I wanted to find out more about him as a dad. Being a stay at home dad myself who has given up his career to stay home, I wondered if someone so successful would also do the same. DNC : "As a successful businessman with a wife who is also successful, balancing work and home life can be difficult. Would you ever consider giving up everything and becoming a stay at home dad with your son?" BR: "Absolutely. One hundred percent I would. At the end of the day, family first that is the motto in our house. Whatever is going to be best for our son. I think in our house and in many houses in America, the man and woman really share all responsibility. Back in the 40s, 50s, 60s, and 70s there were distinct roles that the husband and wife played and I think those are now going away. There is no line between the two." He further defined the roles that he and his wife play in the household and like any man dedicated to his family he changes diapers, he washes bottles, he feeds. His wife takes on chores like taking out the garbage that maybe were once seen as the man's responsibility that his dad used to do when he was a kid and the things he was responsible for as a young man. BR: "For me, it is great to see and a lot of my friends have done the same where they are a lot more active in the role of parent than generations prior"
Becoming a parent isn't always easy as we saw Bill and Guilana's story unfold on their reality TV series. It can be disheartening when you decide to have a family and it doesn't happen right away. DNC: How did you deal with the roller coaster ride of becoming a parent and why it was important to share that with the public. BR: "Well, certainly we had a lot of challenges, there is no secret about that. We chose to share our story with everyone because we thought it would help other couples who were also struggling. It is much more common than people think but it is not talked about a lot. For us it was a battle with a lot of ups and downs and as you mentioned, an emotional roller coaster but we never gave up and we looked at all of our options out there. Thank God we were able to have a healthy, beautiful little boy." I couldn't let Bill get away without asking him at least one question related to Chicago. His mom lived in a suburb right next to my hometown. I had to give him a little Chi-town razzing. Hey, it's tradition. DNC: "ROGAINE helps you Grow Your Game by boosting your confidence. Which Chicago athlete right now needs a boost in confidence?" This question was met with an uproar from the other people on the line and I had him a little flustered. Not Donald Trump. Me. I stumped Bill Rancic, The Original Apprentice. BR: "I tell you what, you're going to get me in trouble, I am friends with a lot of these guys. I have to to dance a fine dance here. That's a tough question to answer, I'll tell you." To be fair, I made him walk a fine line because he, unlike me, actually knows these guys. Thank goodness Rodman doesn't play for the Bulls anymore, that could get ugly. BR: " I am going to spin my answer. I certainly wish the Bears would have beat the Packers but more importantly, we should have won it the week prior in Philly. We should have clinched it down in Philly and we blew it. And when that ball was laying there and the whistle hadn't blown none of the Bears picked up the ball, that killed us. You learn that in Pee-Wee football! It was heartbreaking." I tried to get him to single out one person but he wouldn't despite my prodding. He said "Nah, that's a tough one because I am a true blue Chicagoan. The last thing I need is one of these guys coming into one of our restaurants and seek me out." So, I let it slide. We both think that next year is our year for the Bears just like a true Chicago sports fan and why not, because Cubs fans say it every year. I took my girls to an early morning storytime at our local library. The storytime was for kids ages two-three. That, in itself makes the journey perilous; that the terrible twos and threes all gathered in one room for twenty minutes of reading, dancing, and playing musical instruments is bound to be some kind of clustermuck. We got there a little early and settled into the children's area of the library where they have a train table, a Duplo building table, and a puppet show corner to keep them occupied while they wait. I settled in across from a younger woman brandishing yoga pants, encrusted with what I am guessing was her daughter's morning breakfast caked to her right side, disheveled hair, and a hoodie. Her daughter, "Veronica" whom I only know because of the number of times this woman had to say her name was wreaking havoc on anyone in her path. I made up my mind after watching this child for two minutes, that her kid is a douchebag and its all her mom's fault. Sometimes I can't stand other people's kids. They are the worst. My kids aren't perfect. Heck, they all make mistakes, but if you are a parent and you are giving your children a warning, be prepared to follow through with that threat or you are losing all credibility. My older daughter was putting on a funny puppet show for me when this girl came over and ripped the puppet out of my daughter's hand. "Hey! Sarah said "Can you please give that back? I was playing with it" Veronica walked over to the tub of puppets dumped them all on the floor and then tried to hit Sarah with the tub. Luckily Crusty Yogapants interrupted and rejected the attempt. I let it slide. The girl is just two maybe three and we have all been there. Crusty turned to me said "Sorry about that" and I gave her a smile and I said "It's OK, everyone needs to learn how to share" trying to cut her some slack. Clearly the morning was not going well. Moments later though, it was not OK and Crusty's douchebag kid showed her true colors. Heidi, playing with the Duplo blocks at the table was building me a house. She was very proud of it and said "Daddy look what I build!" That's when things started slowing down Matrix style as I watched Veronica set her sites on her tower, pick up a head of steam, and bash it to pieces. Heidi didn't cry, she just got super pissed and crossed her arms, I wondered if Heidi was going to punch this douchey kid. Now it was time for me to intervene. I told the little girl "That wasn't nice" and I turned to Crusty and said "Maybe you should get your daughter under control"
Crusty apologized again and got down to her daughter's level and said "You can't act like this. If you don't behave then we will go home" BOOM. The line was drawn. She handled it the way I would have done too. My kids know that if it comes to losing that privilege they need to change their attitude because Dad will walk away. Like Dad on the Run says "Papa Bears don't care". It is what transpires after the line is drawn is what defines you as a good parent or not. I get that you need a break from your already crazy day, Crusty Yogapants, but if my kid has intent to hurt another child, that's it. Game over. Take away the reward immediately. Seconds later, both of my girls were at the other Lego table when I watched Veronica, who couldn't fit at the table with both of them there, remove her baby Ugg boots and whip one at my kid! I jumped up and told my girls to move away from her and refocused them on something away from this beast. In my mind she went from a pissy two year old brat to Garbage Pail Kid Volatile Veronica. Did the mom then leave? No. The librarian rang her chime signifying storytime was about to start but the mom STILL did not leave. She even brought Volatile Veronica into the storytime room. I instantly sized up the 15 X 15 foot room with no emergency exits and thought "This is about to get ugly"
Veronica never sat for the storytime. She did everything but listen with the mom not correcting any inappropriate behavior. It became the elephant in the room with parents nervously looking out the window or glancing anywhere but at Crusty like she had snakes for hair. At any time she could have taken her out but didn't. Clearly the douche doesn't fall that far from the tree. While passing out egg shakers for a musical number, Veronica discovered that she couldn't have every single one in the basket and lost it. She threw the shaker at the librarian which I thought would surely get through this woman's head that this was not right. No chance. For the first time ever I watched a librarian bounce a toddler out of storytime like an umpire ejecting Billy Martin from a baseball game. She was outta there! Time to hit the showers, kid. Crusty Yogapants is down with PPP. That's what Brandon from The Funny Conversations calls it, Piss - Poor- Parenting. To be that great parent you are going to want to be an asset to your company, a leader, someone with the ability to help your team win; not some sideline scrub sent in at garbage time. That means making the tough decisions that the situation calls for. Are you pulling your kid from a fun activity if they are not behaving? Are you bailing out of that line at Target because your kid is being a whiny brat? Make that kid cry. It's good for them. They need to learn that they aren't going to get their way. They need to learn that mom and dads everywhere mean business. 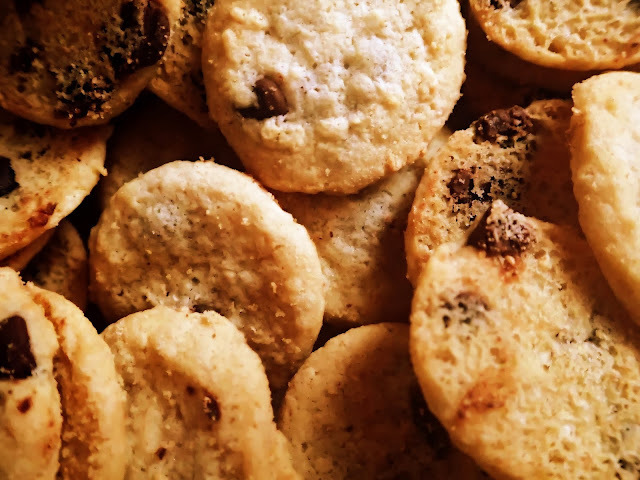 And, no, they can't have a cookie when they get home. In fact, you may want to eat it in front of them. Cookies are for closers.